Golden graham crackers with melted chocolate and marshmallows. Barista Brew Co – Smores Mocha Breeze – Golden graham crackers with melted chocolate and marshmallows. Smores Mocha Breeze Short Fill is available in a 0mg 50ml short fill and comes in a chubby 60ml unicorn bottle with space for your chosen Nic Shot. Espresso blended with milk and creamy white chocolate mocha sauce. 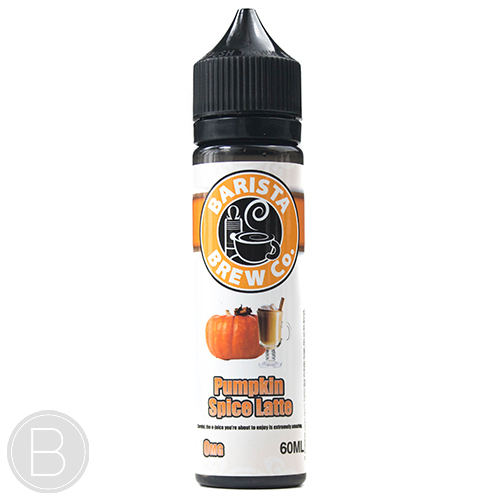 Pumpkin puree blended with espresso, steamed milk topped with whipped cream and pumpkin pie spice. A delicious combo of Donuts, Croissants and Cream.